Emergency dental care no insurance is indeed a growing problem around us. 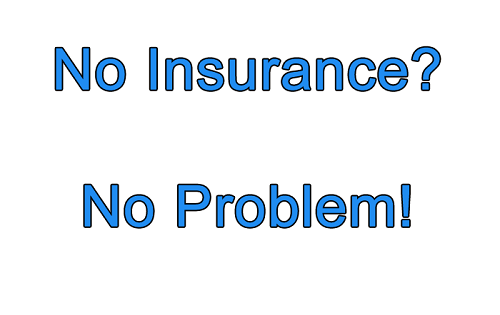 Most people care about their general health insurance, but the dental insurance coverage is rarely taken seriously. According to recent statistics in United States, there are more than 100 million people have no dental insurance. This may have caused by the trend in a lot of workplace. While almost every employer give a health insurance plan, they usually seclude the dental insurance. This, along with the high price of dental treatment in United States have caused only one from three Americans visited a dentist in the last year. First, you want to check the Centers for Medicare & Medicaid Services in your state. Their Medicaid and Children’s Health Insurance Program or CHIP may cover emergency dental care for eligible people or families. In most states, Medicaid program covers limited emergency dental care for adults. Meanwhile, the CHIP program covers dental care for children up to 19 years of age. Although it may sound promising, these programs are limited. To check your eligibility, you might want to check our sources. Your second option is to look for a free or discounted dental care at the Bureau of Primary Health Care. Check whether they have health center in your state. These health centers are federally funded and it was established to help people and provide free or discounted dental care, along with other health-related issues. The third option is to ask information at your state and local health dept. This department may or may not have information about dental care program in your local area. If you’re lucky, you can get emergency dental care for free or at discounted price. The fourth is from United Way. In their site you can enter your ZIP code and look for discounted or free dental service in your local area. You may check in NIDCR site whether they are in need for volunteers in their research studies. Usually, the researchers provide free or low cost dental care for their subjects. Check in their homepage (provided in the source below) and click on the “Clinical Trials” to find out whether they are looking for a specific dental conditions or not. You might also want to try to look for clinical trials from the government from http://clinicaltrials.gov. Who knows, right? The last possible option is the dental schools in your area. You may try the clinics they usually have. There your emergency dental care no insurance will be taken care of with low cost by dental students supervised with experienced dentists. This entry was posted by mimin on April 4, 2019 at 5:42 am under Dental. Tagged Dental Emergencies with No Insurance, Emergency Dental Care No Insurance, emergency dental insurance, Emergency Tooth Extraction No Insurance. Both comments and pings are currently closed.